There is no doubt Camtasia is one of the best and most used piece of software to record video/audio from desktop and other sources and It’s not only one of the best video capture software, But its video editor is just awesome with loads of easy to use video editing features. But its price is $149.50 and everyone can’t afford it to buy. If you are looking for a free video capturing software, Then I think today’s freebie might solve your problem without paying a single penny. 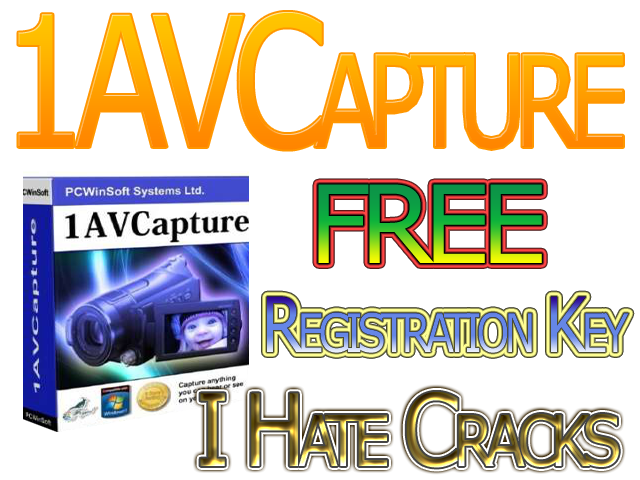 Pcwinsoft.com gives away 1AVCapture original worth 59.95$. Though, 1AVCapture is not good as Camtasia is, But It still can fulfill your needs. Using this easy to use video recorder, You can easily record videos along audio, capture images and record audio from a Windows computer/laptop. You are not only limited to record desktop, You are also able to record videos from your webcam (Skype, Yahoo Messenger etc). If you are not able to download your favorite videos, Not a problem, Use 1AVCapture to record any playing video inside your desired video sharing website/common website. As well as, It lets you record from Media players, TV tuners and other devices. 1AVCapture also can be used as a live video and audio broadcasting in the MMS format. This video capture tool also has a feature for webmasters and bloggers through which webmasters and bloggers can create custom webpages, afterward you are able to upload them to blogs/websites already with the live feed embedded into it both methods are supported manually and automatically. Yes, You are right, 1AVCapture is a paid program which is available priced at 59.95$. But you can grab its full version for free. For next a few days, Here you go and get it for free.